Charise Creates: The Splendid Sampler ~ "Wings"
Today I'm sharing the second block in The Splendid Sampler Sew Along ~ Wings. 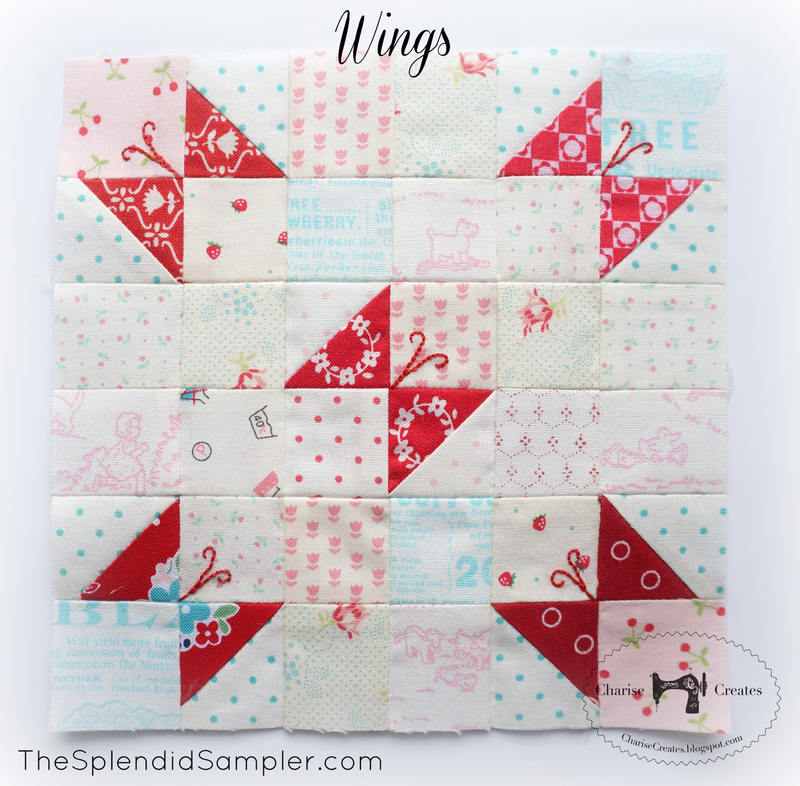 This block was designed by Jane Davidson who created The Splendid Sampler Sew Along along with Pat Sloan. 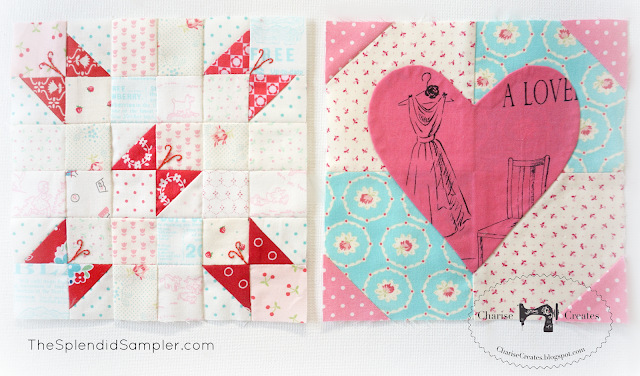 Jane also designed the graphics for all the patterns and they are stunning! Be sure to head on over to TheSplendidSampler.com for the pattern. 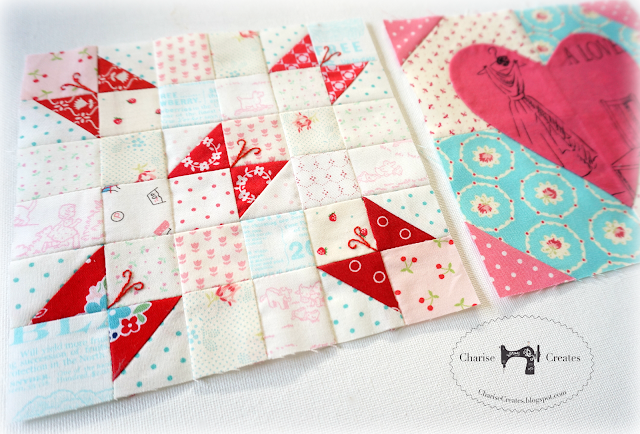 I am a big fan of scrappy quilts and blocks, so this one was incredibly fun to pick fabrics for. 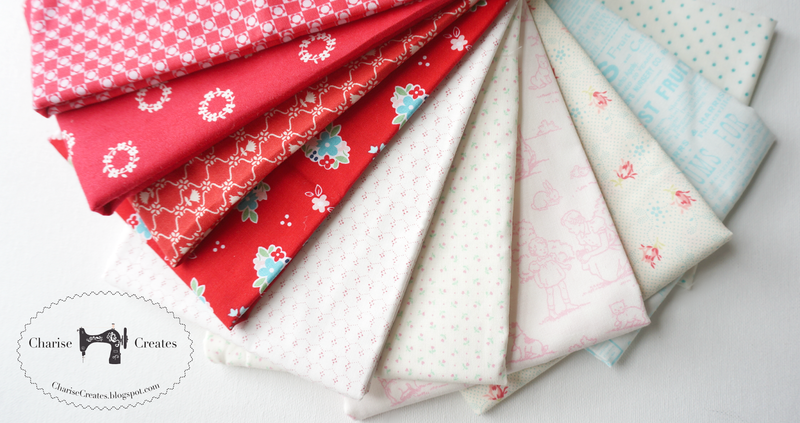 Some of the fabrics are small scraps that I have been saving for some time. I used Aurifil 12 wt embroidery thread to embroider the butterfly antennae. This was a fun and easy block to make. Enjoy! I'm doing The Splendid Sampler too. And you can find me on Bloglovin at Grannycanquilt.wordpress.com. BTW I love your blocks. I blogged about Block 1 but from now on I'll only post once in a while I think. But I am posting to Instagram and you can see both blocks on my sidebar. Charise, I am sure enjoying the Splendid Sampler so far and your block's and color's are my favorite. I really look forward to seeing all your blocks through the next year. Thanks for sharing. Are you kidding me, Charise!!!!!!!!! This is just breathtaken!!!! As usual you choose the most beautiful color pallete, the most stunning prints and the most awesome pattern! Thank you for sharing your talent with all of us!! Best Stitches from Brazil! !